Home >> Microsoft >> Internet Explorer >> Install Multiple Versions Of Internet Explorer Using IE Collection. Are you are a web developer then cross browser compatibility is of high concern and Internet Explorer being the most buggy browser that breaks web design because of the number of versions its evolved and not all users upgrade to the latest making it difficult for web developers. 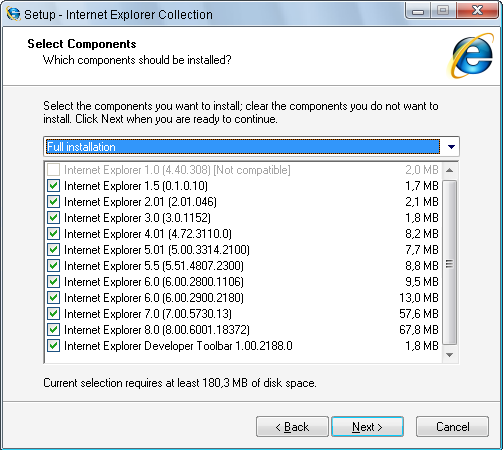 Internet Explorer Collection allows you to install every version of Internet Explorer right from IE 1.0 to IE 8.0 Beta even in Windows Vista making it easy for developers to test their design across all versions of IE.During installation if a version is incompatible with the OS then the version is automatically disabled. 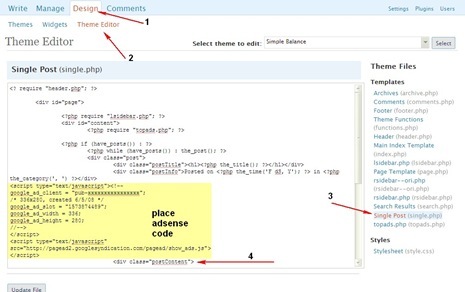 All versions are standalone that means they can be used at the same time.Conditional Comments work exactly the same as in the native versions. IE Collection also includes the Internet Explorer Developer Toolbar 1.00.2188.0 that makes troubleshooting websites easier. The Internet Explorer Developer Toolbar is compatible with Internet Explorer 5.0 and higher when using Windows 2000 or higher. So, did it work for you ? Any problems ? 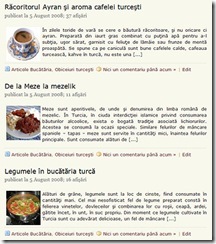 I’m working on a browser screenshot application and as I rely on IE collection it is interesting to check user inputs.